It is 18 years, to the day, since the United Nations Security Council adopted its landmark Resolution 1325 on Women, Peace and Security. One of the key provisions of this resolution is the increased participation of women in all efforts related to peace and security. To mark this day, SIPRI is pleased to announce the publication of a new policy paper, Trends in Women's Participation in UN, EU and OSCE Peace Operations. 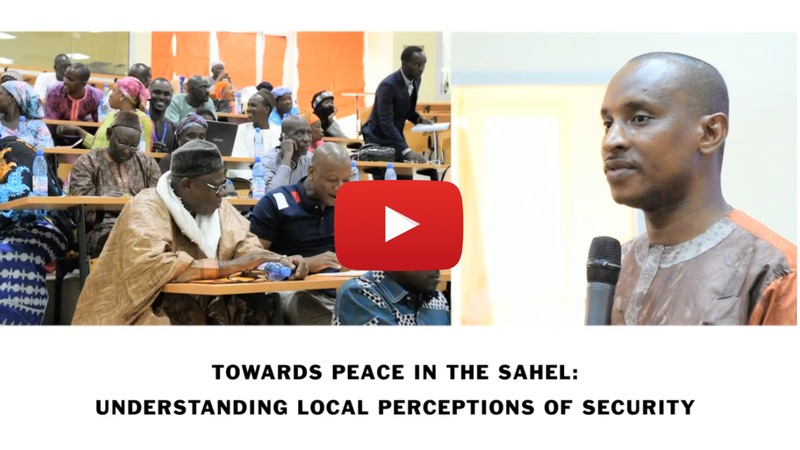 SIPRI has produced a series of interview films spotlighting people’s perceptions of security in Mali. The wholistic perception of security that the interviews portray informs international actors seeking to better understand security dynamics and potential solutions in Mali. The series is introduced by Dr Grégory Chauzal, Director of the SIPRI Sahel and West Africa Programme, and can be viewed on SIPRI’s YouTube and Facebook channels. To mark the release of the 50th edition of the Yearbook in 2019, SIPRI has embarked on an ambitious project to improve public access to its flagship publication. 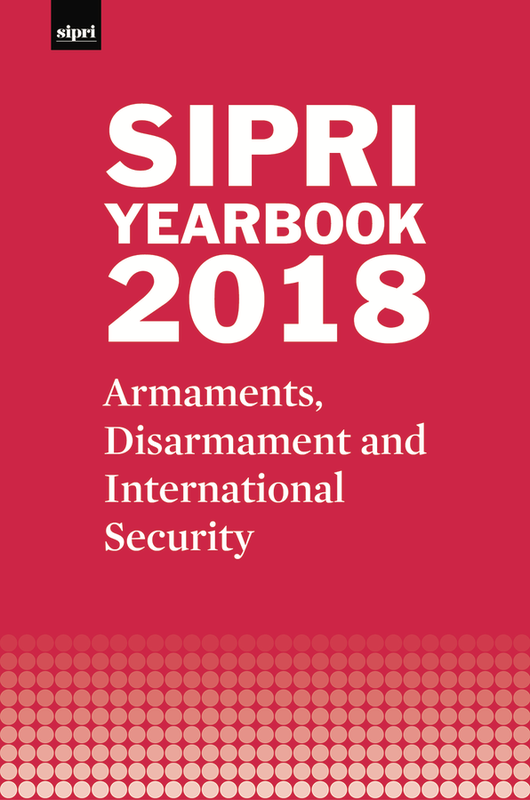 All editions of the SIPRI Yearbook between 2001 and 2016 are now freely available to download from the SIPRI website. Read SIPRI’s statement congratulating Denis Mukwege and Nadia Murad on being awarded the 2018 Nobel Peace Prize. A new paper on the further development of the European Union (EU) common position on arms exports, prepared by SIPRI experts for the European Parliament Sub-committee on Security and Defence (SEDE), has been published online. In the latest SIPRI WritePeace blog, Karolina Eklöw and Dr Florian Krampe examine three recent cases—Colombia, East Timor and Iraq—and explain how recovery plans to sustain peace can no longer exclude the management of the environment and natural resources, and the strengthening of societies’ resilience to climate impacts. This topical backgrounder details Russia’s large-scale nuclear modernization programme, which started after the adoption of its state armament programme for 2011–20. It also outlines Russia’s nuclear institutions and how the expenditure is managed within Russia’s federal budget, and provides an estimate of Russian spending on nuclear weapons between the years 2010 and 2016. This panel discussion will address the key findings of the recently published European Centre for Development Policy Management (ECDPM) report, Supporting Peacebuilding in Times of Change: A Synthesis of Four Case Studies, and brings together expertise from ECDPM, SIPRI, the British Government’s Department for International Development and the Swedish Ministry for Foreign Affairs. This event is by invitation only, but will be livestreamed to SIPRI's Facebook and YouTube channels. SIPRI and the Primakov Institute of World Economy and International Relations (IMEMO) co-hosted a conference at the IMEMO headquarters in Moscow to commemorate 25 years of Russian translation of the SIPRI Yearbook, and to present the latest translation. The key discussion topics at the conference included nuclear arms control and non-proliferation, European security and conventional arms control in Europe, and the impact of emerging technologies on arms control. Look out for forthcoming SIPRI interviews with Russian experts from the event. Co-operation in Vienna on 17 October. Eliasson gave a presentation during the forum on the implementation of UN Security Council Resolution 1540 regarding the non-proliferation of weapons of mass destruction to and by non-state actors. Is the world on the road to peace or war? The inaugural SIPRI Lecture was held in May 2018 on the theme ‘Is the world on the road to peace or war?’ in the presence of His Majesty Carl XVI Gustaf and Her Majesty Queen Silvia of Sweden. The lecture honoured HE Dr Hans Blix and his lifelong career of distinguished public service dedicated to peace, disarmament, non-proliferation and conflict resolution. This policy paper is the first in a series of SIPRI publications that looks at the participation of women in multilateral peace operations based on new gender-disaggregated data from SIPRI’s Multilateral Peace Operations Database. It describes the key trends related to the participation of women in UN peace operations, EU Common Security and Defence Policy missions and operations, and OSCE field operations in the 10-year period 2008–17. The paper also takes stock of the quality and availability of the data that the secretariats of these organizations produce and distribute, and it concludes by making concrete recommendations on how they can improve. allegations of chemical weapons in Iraq and Syria.